Cerite-(Ce): Mineral information, data and localities. First described by Cronstedt (1751) as "tungsten". 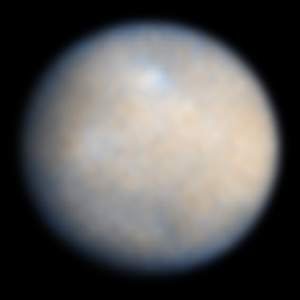 Named by Hisinger & Berzelius (1804) as cerite, after the dwarf planet Ceres discovered by the Italian astronomer Guiseppe Piazzi in 1801. The cerium analogue of Cerite-(La). 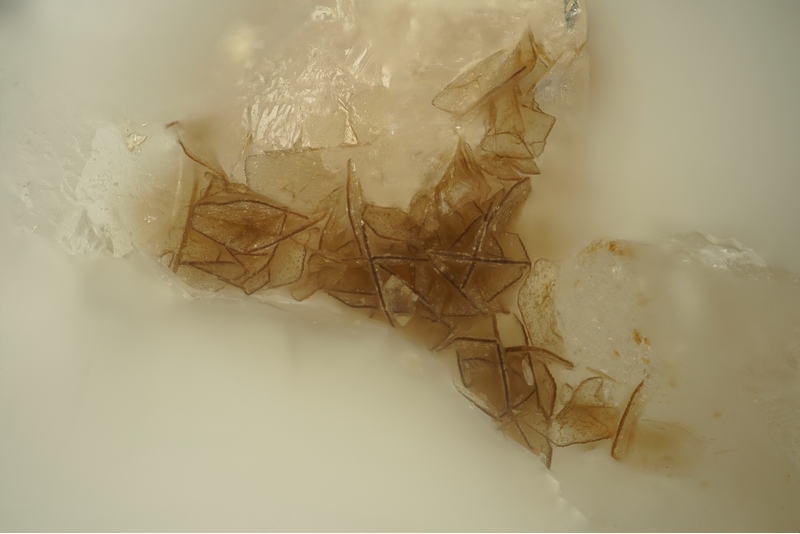 Isostructural with phosphates of Whitlockite group. Ferriallanite-(Ce) 25 photos of Cerite-(Ce) associated with Ferriallanite-(Ce) on mindat.org. Törnebohmite-(Ce) 15 photos of Cerite-(Ce) associated with Törnebohmite-(Ce) on mindat.org. Brochantite 13 photos of Cerite-(Ce) associated with Brochantite on mindat.org. Håleniusite-(La) 7 photos of Cerite-(Ce) associated with Håleniusite-(La) on mindat.org. Lanthanite-(Ce) 4 photos of Cerite-(Ce) associated with Lanthanite-(Ce) on mindat.org. Bastnäsite-(La) 4 photos of Cerite-(Ce) associated with Bastnäsite-(La) on mindat.org. Gedrite 3 photos of Cerite-(Ce) associated with Gedrite on mindat.org. Sulphotsumoite 3 photos of Cerite-(Ce) associated with Sulphotsumoite on mindat.org. Carrollite 2 photos of Cerite-(Ce) associated with Carrollite on mindat.org. Allanite 2 photos of Cerite-(Ce) associated with Allanite on mindat.org. 9.AG.30 Sitinakite KNa2Ti4(SiO4)2O5(OH) · 4H2O Tet. 9.AG.35 Kittatinnyite Ca2Mn2Mn(SiO4)2(OH)4 · 9H2O Hex. 9.AG.80 Bultfonteinite Ca2(HSiO4)F · H2O Tric. Hisinger, W. & Berzelius, J.J. (1804): Cerium, en ny Metall funnen i Bastnäs Tungsten från Riddarhyttan i Westmanland. Henrik A. Nordström, Stockholm, Sweden. Gay, P. (1957): The crystallography of cerite. American Mineralogist, 42, 429-432. Moore, P.B. & Shen, J. (1983): Cerite, RE9(Fe3+,Mg)(SiO4)6(SiO3OH)(OH)3: its crystal structure and relation to whitlockite. American Mineralogist, 68, 996-1003. Pakhomovsky, Y.A., Men’shikov, Y.P., Yakovenchuk, V.N., Ivanyuk, G.Y., Krivovichev, S.V., Burns, P.C. (2002): Cerite-(La), (La,Ce,Ca)9(Fe,Ca,Mg)(SiO4)3[SiO3(OH)]4(OH)3, a new mineral species from the Khibina alkaline massif: Occurrence and crystal structure. Can. Mineral., 40, 1177-1184. 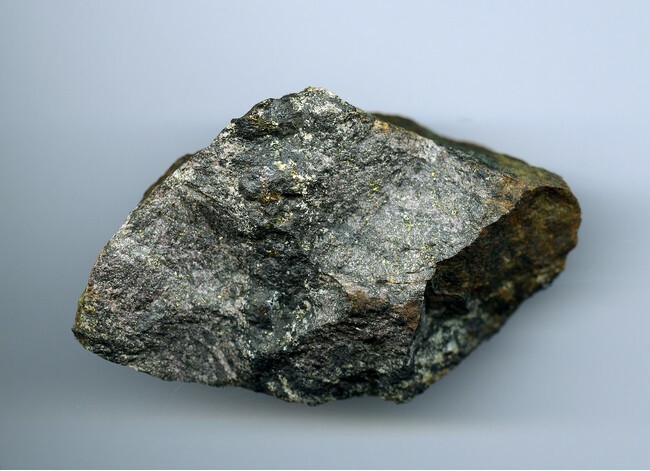 L. Torró, C. Villanova, M. Castillo, M. Campeny, A. O. Gonçalves and J. C. Melgarejo (2012): Niobium and rare earth minerals from the Virulundo carbonatite, Namibe, Angola. Mineralogical Magazine 76, 393-409. Sabina, A.P. (1986) Rocks & Minerals for the collector; Buckingham - Mont-Laurier - Grenville, Quebec Hawkesbury - Ottawa, Ontario. GSC Misc. Report 33, 33 p.
Sabina, Ann P., Geological Survey of Canada paper 70-50. ; M A G Lafontaine (1979) Uranium-Thorium Deposite at the Yates Mine, Huddersfield Township, Quebec. MSc thesis, University of Ottawa. Mohamed, A. (2013). Mineral chemistry and genesis of Zr, Th, U, Nb, Pb, P, Ce and F enriched peralkaline granites of El-Sibai shear zone, central Eastern Desert, Egypt. Finello, G., Ambrino, P., Kolitsch, U., Ciriotti, M.E., Blaß, G., Bracco, R. (2007): I minerali della “Pietra di Luserna”, Piemonte, Italia nord-occidentale. I. Alcune cave di gneiss della Val Luserna. Micro (località), 2/2007, 181-226.; Piccoli, G. C., Maletto, G., Bosio, P., Lombardo, B. (2007). Minerali del Piemonte e della Valle d'Aosta. Associazione Amici del Museo F. Eusebio - Alba, 607 pag. Pavel M. Kartashov data; Kovalenko, V. I., Yarmolyuk, V. V., Sal nikova, E. B., Kartashov, P. M., Kovach, V. P., Kozakov, I. K., ... & Yakovleva, S. Z. (2004). The Khaldzan-Buregtei Massif of peralkaline rare-metal igneous rocks: structure, geochronology, and geodynamic setting in the Caledonides of Western Mongolia. Petrology c/c of Petrologiia, 12(5), 412-436. Palache, C., Berman, H., & Frondel, C. (1951), The System of Mineralogy of James Dwight Dana and Edward Salisbury Dana, Yale University 1837-1892, Volume II: 290; N.P. Yushkin e.a. Introduction in topomineralogy of Ural, -"Nauka", Moscow, 1986,p.294. Jonsson, Erik; Högdahl, Karin; Sahlström, Fredrik; Majka, Jarek (2014) BIF-hosted REE silicate mineralisation at Högfors, Bergslagen, Sweden. 31st Nordic Geological Meeting, Lund Sweden. Jansson, M. Förekomster med ceriummineral i stråket Möklinta, Norberg, Riddarhyttan och Nora. Hisinger, W. & Berzelius, J.J.(1804): Cerium: ein neuer Metall aus einer Schwedischen Steinart, Bastnäs Tungstein gennant. Neues Allgemeines Journal der Chemie, 2: 397-418; Holtstam, D., Bindi, L., Hålenius, U., & Andersson, U. B. (2017). Delhuyarite-(Ce)–Ce 4 Mg (Fe 3+ 2 W)□(Si 2 O 7) 2 O 6 (OH) 2–a new mineral of the chevkinite group, from the Nya Bastnäs Fe–Cu–REE deposit, Sweden. 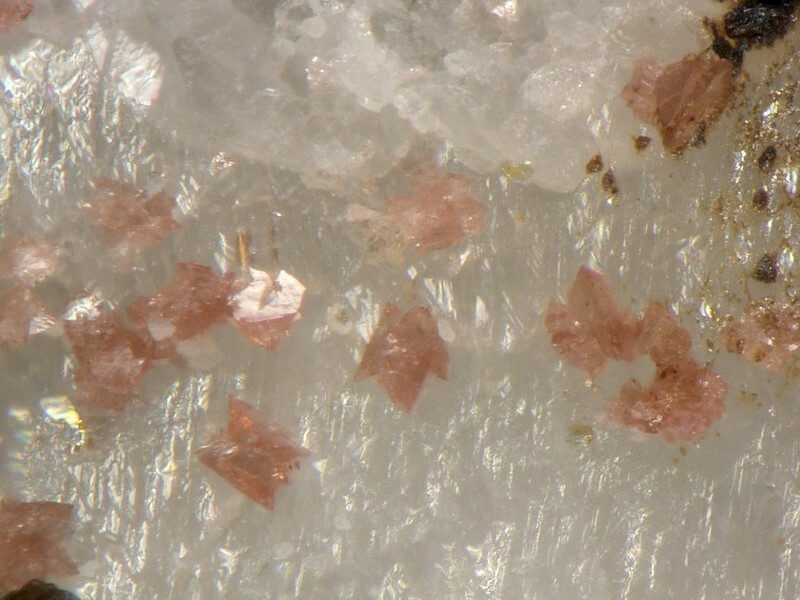 European Journal of Mineralogy, ejm2635_pap_gsw. Cronstedt, A.F. (1751): Rön och försök giorde med trenne järnmalms arter. K. Vetenskaps Akademiens Handlingar. 12, 226-232.; Hisinger, W. & Berzelius, J.J. (1804): Cerium, en ny Metall funnen i Bastnäs Tungsten från Riddarhyttan i Westmanland. Henrik A. Nordström, Stockholm, Sweden. Glass, Jewell Jeannette, H.T. Evans, Jr., M.K. Carron & Harry Rose, Jr. (1956), Cerite from Mountain Pass, San Bernardino County, California: American Mineralogist: 41: 665; Gay, Peter (1957), The crystallography of cerite: American Mineralogist: 42: 429-432; Glass, Jewell Jeannette, H.T. Evans, Jr., M.K. Carron & F.A. Hildebrand (1958), Cerite from Mountain Pass, San Bernardino County, California: American Mineralogist: 43: 460-480; Pemberton, H. Earl (1983), Minerals of California; Van Nostrand Reinholt Press: 222, 479; Haxel, G. (2005) Ultrapotassic rocks, carbonatite and rare earth element deposit, Mountain Pass, southern California. In: Geology and Mineral Resources of the Mojava National Preserve, southern California. USGS Bulletin 2160.
ⓘ White Cloud pegmatite ? ⓘ East Hampton (Chatham) ?